Canadian software consultants can use this comprehensive template to prepare Consulting Agreements for clients that they are developing software for. 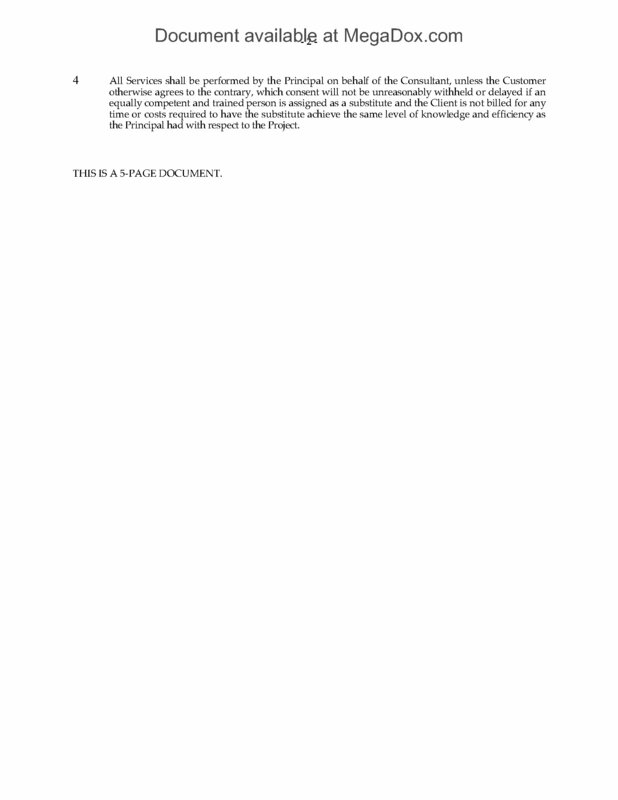 This legal document template can be used in any province or territory. The consultant is not subject to supervision by or instructions from the client. The consultant indemnifies the client against claims by Revenue Canada for employee deductions, and against claims for damages, loss or injury caused by the consultant's employees. The consultant and its employees are bound by confidentiality and nondisclosure provisions with respect to the client's information and data. The client is the sole owner of all deliverables under the contract. The consultant will not solicit staff or customers of the client. The consultant provides no warranty of the deliverables and assumes no risk or liability for risk or injury resulting from the use of the deliverables. This is a Canadian legal form which can be used in most provinces and territories except for Quebec, where a French language version may be required. Download the contract immediately after you purchase it. The document is available in MS Word format and is easy to customize. 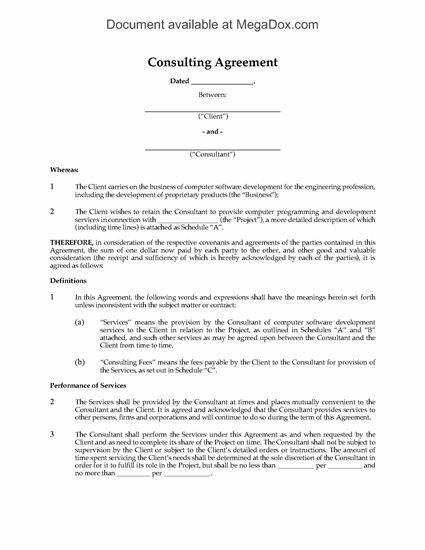 If you provide IT services for Canadian businesses, this Consulting Agreement template is an easy and fast way to prepare your client contracts. 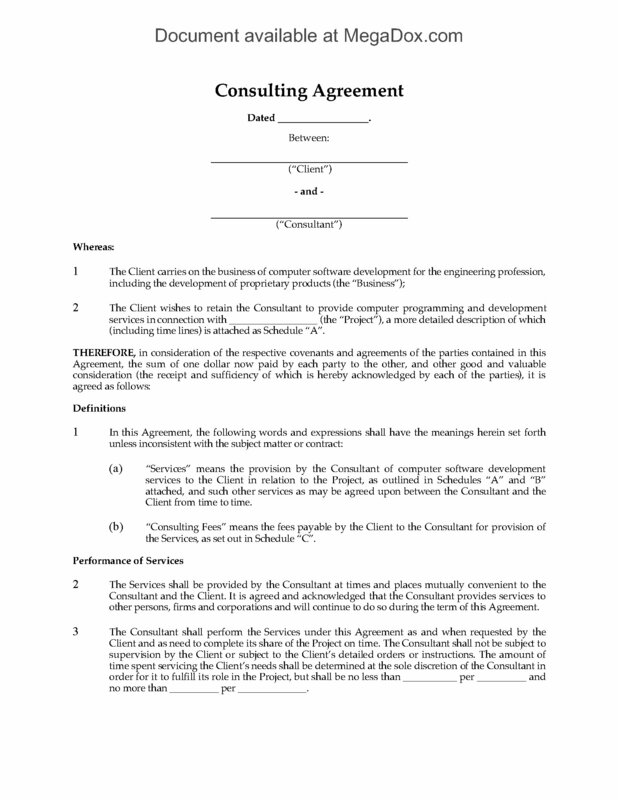 The contract template can be used in any province or territory of Canada. The IT consultant is autonomous and is not subject to supervision by the client's personnel. This contract is not exclusive. The IT consultant has the right to work for other clients. The consultant is responsible for its own employee deductions and remittances, and indemifies the client against any claims by Canada Revenue Agency or others with respect to its employees. The IT consulting firm and its employees shall not disclose any of the client's confidential information. Ownership of all deliverables under the contract belongs solely to the client. The contract includes a non-solicitation clause to prevent the consultant from soliciting the client's customers or employees. To access the form, follow these three steps: 1. Add it to your cart. 2. Check out and pay for the form. 3. Download it. No matter what type of consulting services you provide, you need a good standard contract template. 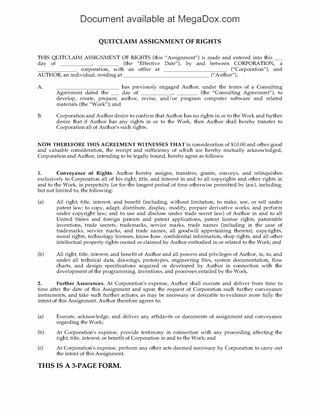 Download this Canada Consulting Services Agreement for your business. The contract is non-exclusive. The consultant is free to provide consulting services to other clients or to be retained by other companies which may compete directly with the client's business. The consultant agrees to disclose any potential conflicts of interest. Either party may terminate the agreement on proper notice. Reports and other data generated by the consultant are the property of the client, and the client retains all proprietary rights in the data. The Agreement can be used in all Canadian provinces and territories. Get the Canada Consulting Services Agreement and you can easily tailor it for your unique business needs. Retain the services of a software consultant for your business under the terms of this Software Consulting Agreement. The consultant will provide price protection to the client. The consultant will appoint an account representative to manage the client's account. The client has the right to terminate the agreement if the appointed representative ceases to work for the consultant. Procedures for installation and testing of the software developed for the client. The consultant agrees not to recruit any of the client's personnel. The client has a right to injunctive relief if the consultant breaches the agreement. 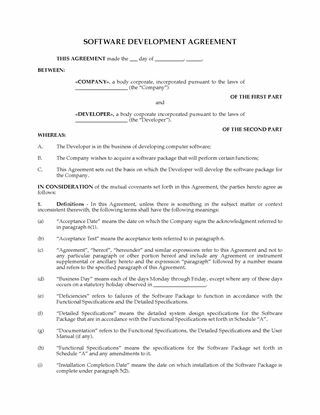 Download the Software Consulting Agreement immediately after you purchase it. You can customize it to match your particular contract requirements.